Nicole Richie was recently in Sydney, Australia to open MidCity shopping centre. 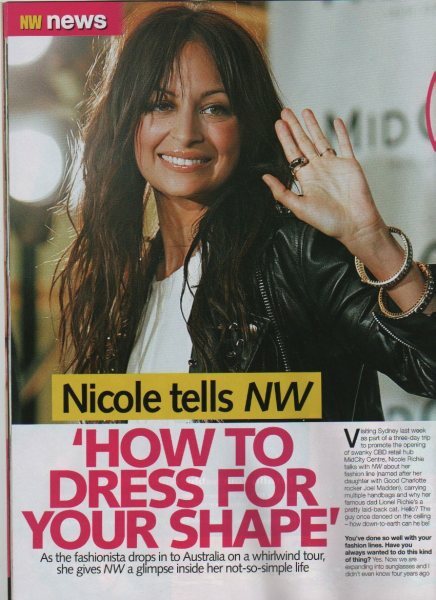 Whilst in Oz Nicole chatted with NW magazine about her personal style and how to dress for your shape. Thanks to Gemma for these scans.